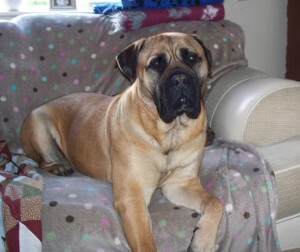 Norma is now rehomed and enjoys a great life with Alex and her lovely family. Norma is 4 years old, she came into rescue with her litter brother Doff. Norma is great with other dogs and would suit a home with another male. She has been around older children and is great with them.